Thanksgiving is our favorite holiday! We believe that wine transforms a dinner into a feast, and is the thread that binds your family and friends together. 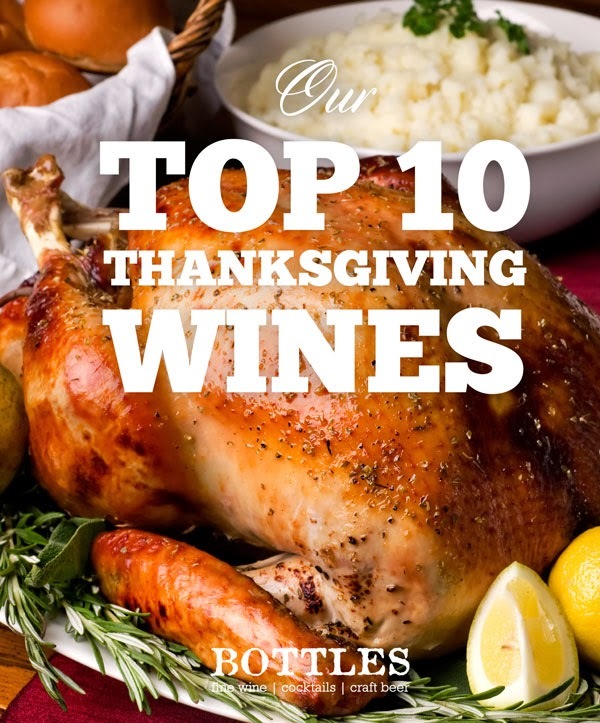 After tasting thousands of wines throughout the year (a tough job), this Top 10 Thanksgiving Wine List is hand-selected to complement your Thanksgiving feast, all without breaking the bank. 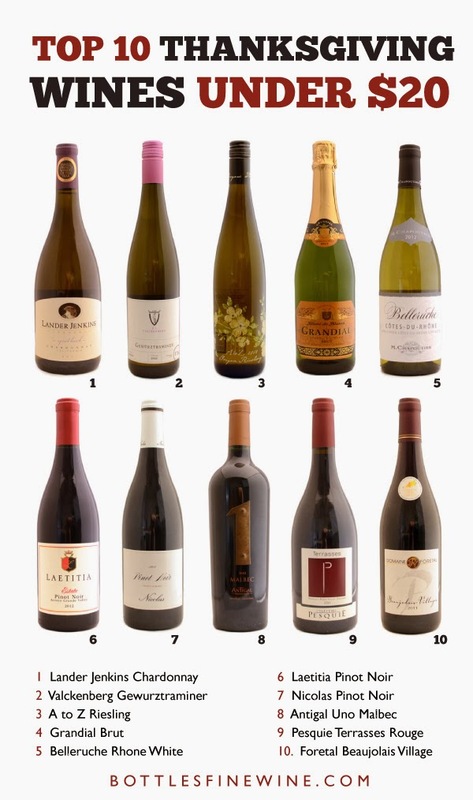 We hope that you enjoy these wines in both good health and company this season. Visit our store to shop! 1. Lander Jenkins Chardonnay $13.99 – Beautifully made Chardonnay with a kiss of oak and buttery richness, but not overdone. Great by itself or with lighter/first course dishes. 2. Valckenberg Gewurztraminer $14.99 – A classic Thanksgiving pairing! Dry style wine loaded with tropical fruit flavors that will stand up to anything on the table. 3. A to Z Riesling $14.99 – A beautiful wine in a beautiful bottle. Delicious, dry and refreshing studded with peak of summer fruit flavors and loads of zippy lemon. 4. Grandial Brut $9.99 – Our new favorite sparkling wine! A tremendous value, this dry style Brut loves to party! 5. Belleruche Rhone White $13.99 – Rich, savory and a great alternative to Chardonnay. A perfect pairing with squash dishes, sweet potatoes and yes, Turkey! 6. Laetitia Pinot Noir $19.99 – Unapologetically smooth and rich. This has been a year-round favorite and is sure to please everyone at the table. 7. Nicolas Pinot Noir $9.99 – An overachiever, light and elegant. Classic French style Pinot Noir with bright fruit flavors and a light engaging personality. 8. Antigal Uno Malbec $17.99 – A full bodied alternative to Cabernet. A big boastful wine with blackberry, mocha and vanilla flavors make you and your guests take notice. 9. Pesquie Terrasses Rouge $16.99 – Earthy and smooth, this Rhone Red is an excellent choice for those that like dry spicy wines. Pair with anything you’d put gravy on. 10. Foretal Beaujolais Village $14.99 – A traditional Thanksgiving pairing! Light and bright wine with tart cherry and cranberry flavors with hints of cinnamon and clove. 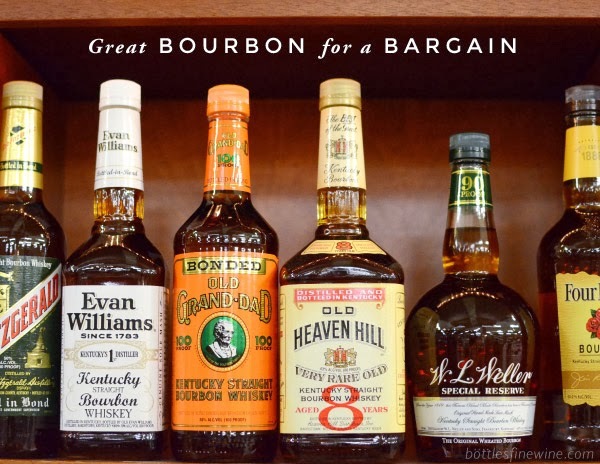 This entry was posted in Learn About Wine, Wine Pairings and tagged best, brands, budget, thanksgiving wine, wine, wine pairings on November 18, 2013 by Eric Taylor.